Isn't that a song.....it's singing, you say. Oh well, I was close. Anyway, it was stinking hot today. 90 degrees with super crazy humidity. The sweat didn't have anywhere to go. Unreal! 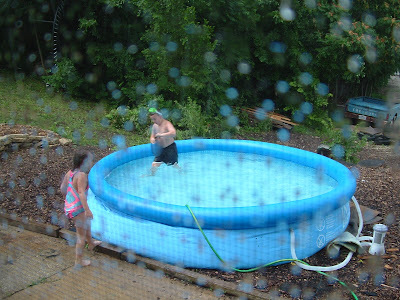 About 5 minutes before the pool was filled, a storm rolled in. 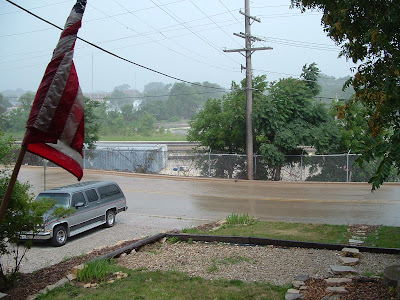 The boys all came inside, saying it was gonna rain. Sure enough, rain it did. Giant drops. 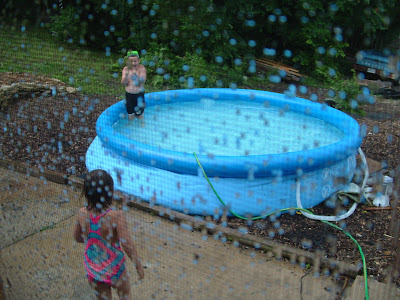 But the kids decided that they could swim in the rain without a problem. They were getting wet anyway, right. Couldn't fault them for their logic, so I joined them. 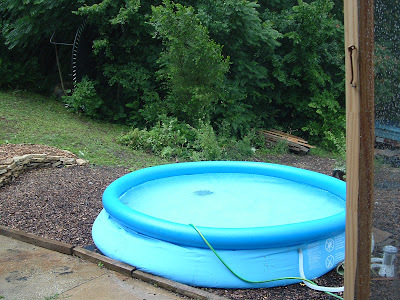 Crazy when the pool water is colder than the rain. 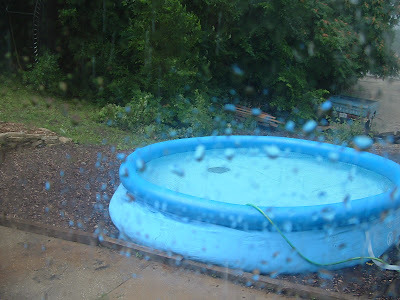 I ended up just standing outside in my swimsuit in the rain. It was so refreshing. Like a cooler shower. I liked it! Really you can't tell, but it was pouring down rain. Is that your trampoline in the bushes?